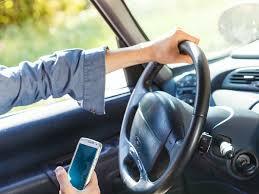 New York State now has the toughest laws prohibiting cell phone use while operating a motor vehicle. Effective May 31, 2013 any violation for using a cell phone while operating a motor vehicle carries with it a 5 point accrual, a large insurance premium increase, a hefty fine, and a suspendable offense if the operator has junior or probationary use privileges. With this new point increase, a NY cell phone violation is a very serious matter. A conviction in New York State is regulatorily on par with a conviction reckless driving (a crime and 5 points), and the infraction of passing a stopped school bus (5 points). It is now considered worse than having malfunctioning brakes (a crime and 4 points) and the NY State infraction of following too close / tail gaiting (4 points). It is also now a worse violation than most of the New York State speeding charges, failure to restrain a minor or infant (3 points), and a railroad crossing violation (3 points). The tougher penalties were motivated by NYS DMV statistics which showed that From 2005 to 2011 there has been a 143% increase in cell phone-related crashes in New York State; In 2011 there were 25,165 fatal and personal injury crashes involving distracted driving in New York.between 2011 and 2012 New York State experienced a 234% increase in the number of tickets issued for texting while driving. Clearly if you were given a ticket because you were using your cell phone in the parking lot of a strip mall the ticket is invalid. Likewise if you were using your phone while stationary at a traffic light or in a traffic jam the ticket would be invalid. However what does it mean to “use” a mobile telephone? What does it mean to be “engaged in a call?” Defense of a New York cell phone ticket turns on understanding the various definitions and focusing on permissive conduct. The best way to distill down the defenses to a NY cell phone violation is to utilize the definitions and exceptions to the statute to define what a New York operator can and cannot do on a cell phone to make a call while operating a vehicle on a New York highway. Even if you believe that you are “guilty” it is still worth retaining our New York cell phone defense lawyers to defend your New York cell phone violation charge. Our NY cell phone defense firm is so confident that we will get the points reduced or eliminated that we give a money back guarantee to do so. Our New York cell phone defense attorneys can appear anywhere in the state of New York to fight your New York cell phone ticket and charges. In addition our cell phone defense lawyers go to the New York court for you, so when you retain our NY cell phone defense attorneys you never have to lose time from work to go to court or even come to our office we do everything for you. Our NY cell phone ticket defense lawyers put you in a nothing to lose, everything to gain position. Call our law firm right now for a no cost, no obligation phone consultation.